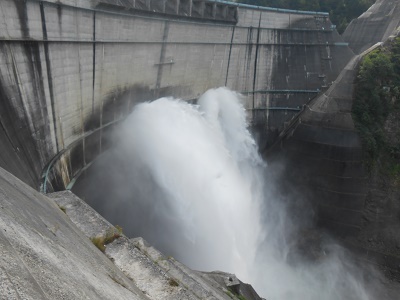 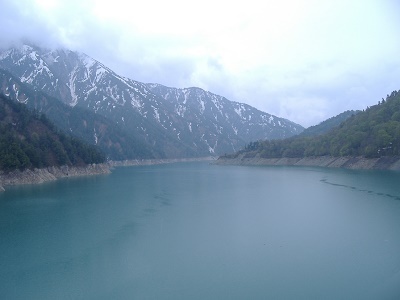 Kurobe Dam stores 2 hundred million cubic meters of water. 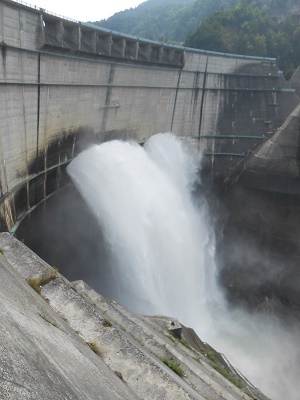 Water is released from the Dam 10 tons per second. 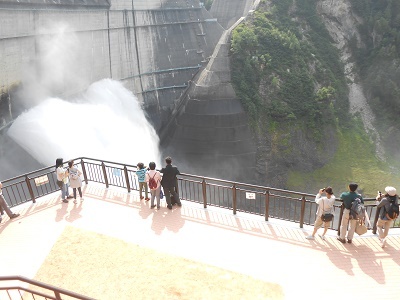 Discharging of water is operated for sightseeing purpose from near end of June until mid-October.Gushing water is spectacular.